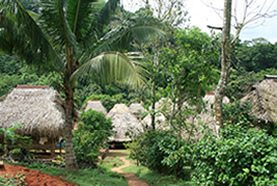 Glimpses of the thatched roofs are the first sign that Emberá Drúa village is near, as your dugout canoe winds up the Chagres river. 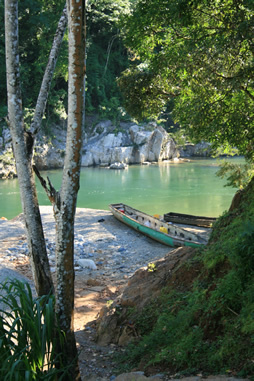 Next, flute strains and drumbeats waft across the water as we gather at the river and welcome you to our beach. You have arrived at our tropical rainforest community, located deep in the Chagres National Park of Panama. 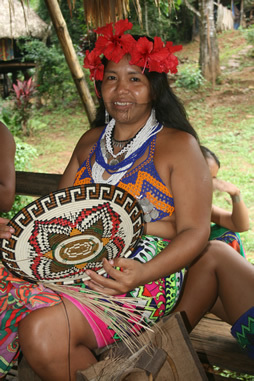 Emberá Drúa is a small indigenous community of 110 individuals in the Republic of Panama. 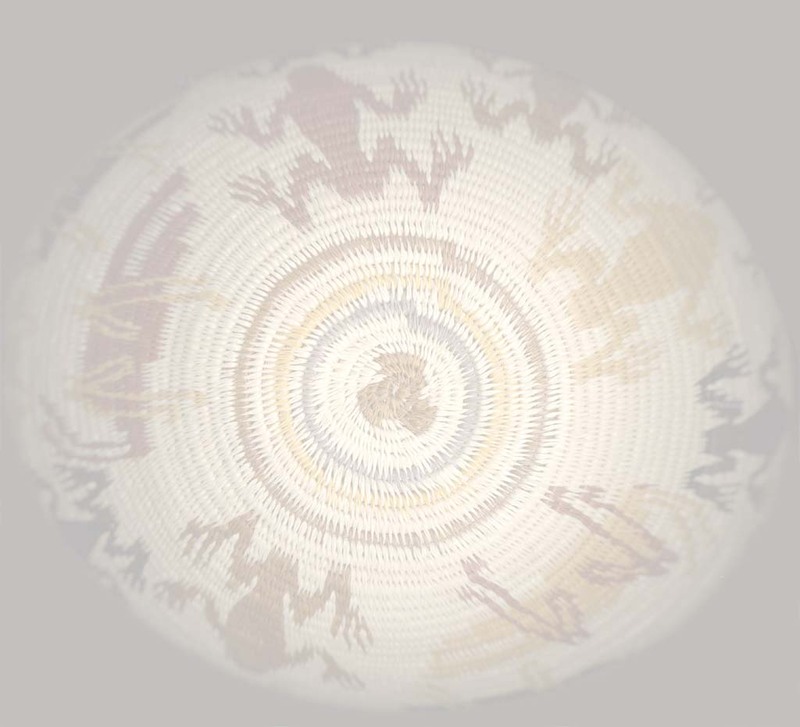 We keep our traditional ways alive by practicing and living them every day. 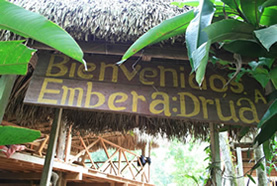 Emberá Drúa is our home, and we invite you to learn about our culture, our village, our way of life. We are proud to share it with you! 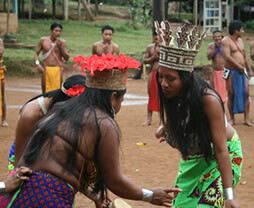 What we offer is usually referred to as cultural eco-tourism. 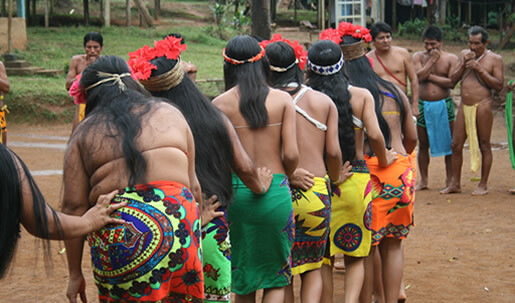 The cultural part means that visitors learn about and interact with us; the ecological part means they learn about the rainforest in a low-impact to our natural environment and our way of life. Visitors come here to experience nature, but they don't take the plants and animals with them when they leave. Instead, they take the memory of their unique experience, a lot of photographs and their trash!